For residents of east Orlando, there are two options when it comes to a midway carnival Christmas celebration. The first carnival is Light Up UCF at the University of Central Florida. A short drive down Alafaya Trail brings you to Waterford Lake’s Santa’s Winter Wonderland Village. Whereas Light Up UCF focuses on a diverse lineup of activities with 2 to 3 carnival rides, Santa’s Winter Wonderland at Waterford Lakes focuses almost exclusively on the rides bringing a full carnival to east Orlando. This annual event is in a large parking lot next to the Regal movie theater at the shopping plaza that mostly sits vacant the rest of the year. The promotional website for the carnival states that the event includes Santa’s Workshop, holiday foods, amusement rides, and thousands of Christmas lights and holiday displays. The entire event is free, with the cost for the rides being sold through individual tickets. Tickets are $18 for unlimited rides. The Strolling Carolers have performed on two Saturdays during previous years’ events from 2 p.m. to 5 p.m. A product of the Caroling Company, these carolers performed mallwide in 20-minute increments singing traditional holiday carols. Santa’s Winter Wonderland Village will begin on Friday, December 4th, 2015 and will continue through the holidays until Sunday, January 3rd, 2016. Thursdays December 10, and 17: 5 p.m. to 11 p.m.
Friday December 4, 11, and 18: 5 p.m. to 11 p.m. Weekdays December 21 through January 1: 2 p.m to 11 p.m.
Saturdays and Sundays: 2 p.m to 11 p.m.
Christmas Eve: 2 p.m. to 9 p.m.
Christmas Day: 2 p.m. to 10 p.m.
Click Here to find out about all of the Christmas events going on around Orlando. 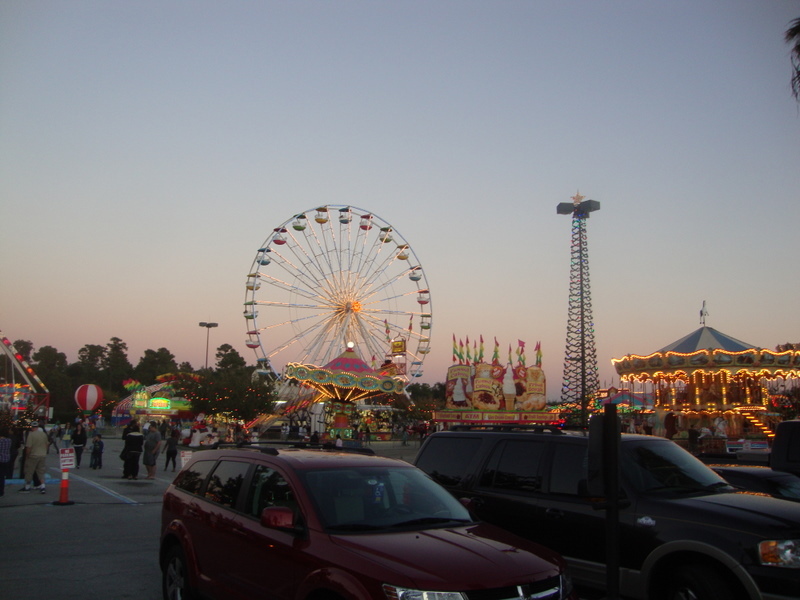 Click Here to read about more carnivals going on around Orlando throughout the year. This entry was posted in Family and tagged activities, annual events, carnivals, christmas, december, holidays, january, new years eve, orlando, waterford lakes. Bookmark the permalink.